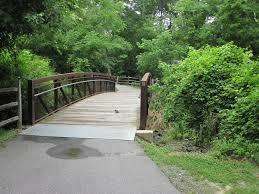 Gastonia is in process of trying to get state support to expand the Greenway system. The system is a network of walking and biking trails that connect parts of the city. 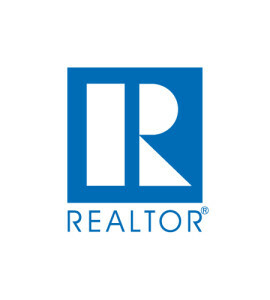 The growing network is in process of expansion at this time and will soon have the long-awaited connection to Rankin Lake Park. The next step is a bridge over Long Creek that will connect to Gaston College and more points further North. The bridge is an essential part of the Greenway if the city wants the Greenway to connect to the North. 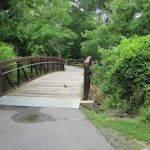 The first step is to secure a grant through the Recreational Trails Program. This would infuse the project with federal money that is then divided throughout the counties through the Division of Parks and Recreation. There is a first round application now, with a second round application in June. The hope is to get the grant which could fund between 50 to 100 percent of the cost of the bridge which is estimated at between $150,000 and $200,000. Other expansions in progress will connect the Highland Rail Trail to the Northern boundary of Rankin Lake Park. This is all part of the redevelopment of the I-85 U.S. 321 interchange. Further expansions could include linking Gaston College and the Gastonia Technology Park with Dallas Park off of Dallas-Cherryville Highway. This will give 10 miles of trails, greenways, and enhanced sidewalks for pedestrians and cyclists. This will be a much safer alternative for those cyclists and pedestrians as they will not have to navigate automobile traffic on these routes. For more information and to read the entire article, click on the link to the Gaston Gazette.